A lifelong resident of Mount Pleasant, Danny Hughes knows the Charleston area like few others. An avid boater since the age of 14, he lives passionately for the natural wonders of the Lowcountry with hobbies such as boating, fishing, golfing, biking, and walking. In 1997 Danny became one of the first residents in the community of Daniel Island, where he lives with his wife, Pamela, and their English Springer, Abigail. The island is an idyllic setting for family gatherings with their three children and three grandchildren. As Commodore of the East Cooper Outboard Motor Club on Gold Bug Island, and as a member of organizations such as the Rifle Club and the Elks Club, Danny maintains a strong support of his community through fundraising and philanthropic charity giving. 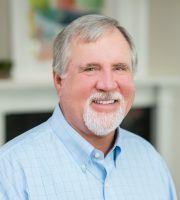 During his 40+ year career with the Space and Naval Warfare Center of Charleston, Danny conducted a number of real estate transactions on his own behalf, and now dedicates himself full time to providing that expertise to his clients. Danny boasts an intimate knowledge of Mount Pleasant, Sullivans Island, Isle of Palms, Daniel Island, and surrounding areas. Having traveled all over the world, he has never found a place more beautiful to live than the South Carolina Lowcountry.